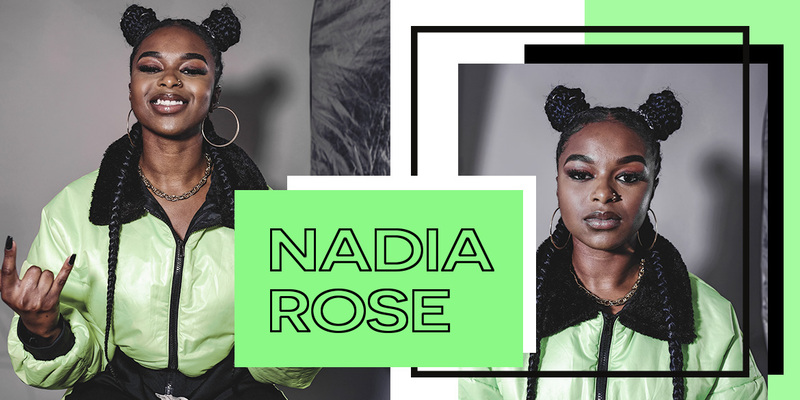 Fresh, defiant and real, three words which describe British Artist-Rapper, Nadia Rose. The British hip-hop artist is best known for her previous inescapable, effervescent hit Skwod, which landed her a MOBO (beating competition from M.I.A and Laura Mvula) and a top 5 position on the BBC Sound of 2017 shortlist. We caught up with Nadia right after her magazine shoot and asked her everything you guys want to know. Nadia first appeared on the mainstream music scene in 2016, as a powerfully confident artist with a singular vision, which saw her hailed by the music press as the UK’s next major star in hip-hop. That kind of self-assured debut was only possible because Nadia had been quietly working on her craft for years before she hit the spotlight. 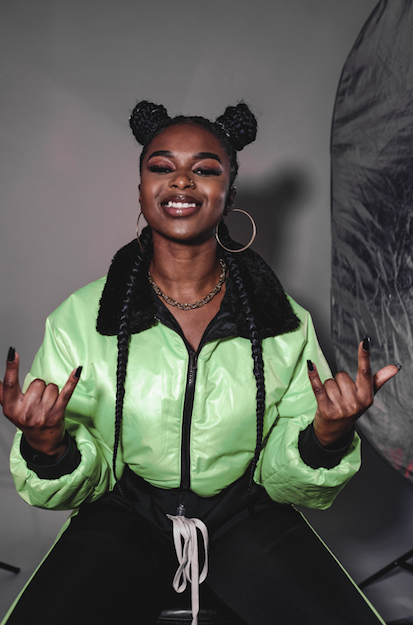 Born in 1993 and raised on the Whitehorse Road Estate in Croydon, Nadia was always surrounded by music, and by family (her cousin Michael Omari, now better known as Stormzy, lived just up the road). Throughout 2017, Nadia was writing for Rihanna, who tapped her up to join her writing camp for #R9 in London and continues to be one of her biggest supporters – even promising to collaborate with her on a track in the future. The process allowed Nadia to unlock a “different level” in her songwriting, which will be unleashed as she continues to drop new material over the course of 2019. Nadia’s new single ‘Airplane Mode‘ is a carefree, tropical tune, about the days where you have to block the rest of the world out and get in your zone.